Senuke XCr is a powerful tool designed to helps user with the tedious job of building backlinks and improving site optimization. Many people look at backlinks today as a dangerous thing, what with the introduction of the Penguin and Panda algorithms by Google. However, not all backlinks are the same, and while some might be seen by Google as low value and spammy and might attract penalties, there are those that are seen as valuable and authoritative, and for the core of the algorithms on Google searches. The truth is that backlinks are still important today. The only difference is that with the evolution of Google’s algorithms, it is now easier for the search engine to be able to penalize certain paths taken by common SEO tools that create automated link profiles. One huge strength that Senuke XCr brings to the table is the fact that it gives the user complete control of their link building strategy. Senuke XCr is fully crowd sourced and allows the user to create and share automated scripts with thousands of other fans. With this in mind, one can build links from thousands of places online. This is one of the most important features of Senuke XCr, placing it ahead of rivals in the industry. It offers users the ability to create and download scripts which automate tasks like creation of accounts, logins, posting content and generation of backlinks for any website. This software is future proof, and any website of social network created any time in future will automatically be compatible, without the need for upgrade or a new version of Senuke XCr. Another major advantage that Senuke XCr brings to the table is the sped. Even for complete newbies, it sets up complex SEO campaigns within minutes. In the original version, one of the biggest problems faced by users was the time taken to set up and the complexity of the process. Even experts took up to 15 minutes to set up. Today, all this seems a thing of the past. 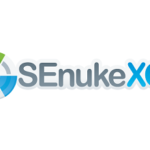 With the turbo wizard tool, with just a few mouse clicks and a few configuration settings, a keyword campaign can be up and running in a matter of seconds with Senuke XCr. It has several stock templates, but one can also download new ones or create their own. It is loved by its fans because it has an easy to use interface. From the project dashboard, one can access all projects they are working on, without the need to navigate through several pages of options. 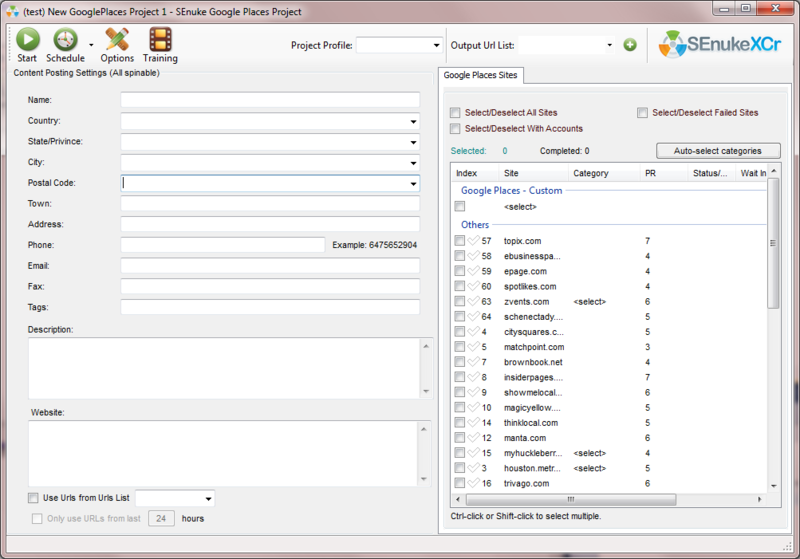 From the left of the screen, one can click on any project they desire, and even group related projects together. All the tasks appear on the right together with their schedules, including the dates modified, the last and next run times, and the statuses of the sites left to complete. After completion, tasks are marked with a green tick. It also has Google places module through which one can build citations for their business and get it on the first page of local listings. This is the ultimate strength setting of this tool. A user can have the liberty of scheduling the submissions and letting the tool work on its own in managing the submissions to achieve the desired results within the time frame that has been set. The beauty with the tool is that once left to work, even if it encounters an obstacle, it is able to reset and pick up from where the last progress was which is an admirable advantage. A user is also given the opportunity to decide the number of submissions that they wish to schedule which makes for an interesting and efficient process of ecommerce structuring. Senuke x is very friendly for newbies which means that individuals not well versed with ecommerce can be able to effectively navigate the tool and learn the trade with ease. Internet marketing requires a steady and fast learning curve to ensure a fast acclimatization and this is the exact factor that the tool brings forth. With the tool at hand, a user can be able to handle and run several modules simultaneously making for a multitasking process that is both effective and workable. Running modules simultaneously saves on time and ensures that an effective balance in the marketing strategy is adopted and implemented. This is an invaluable setting and it is exactly what ecommerce strategists crave. The tool gives users the chance to add an unlimited number of websites which can be effectively used for submission of content. A large number of websites means an increased capacity for backlinks which means an increased traffic setting back at the user site which completes the SEO strategy. 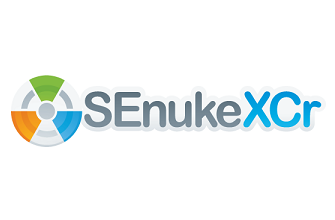 With Senuke x, a user can have the capacity to create and structure a promotion strategy that they wish to employ to target internet marketing. Most ecommerce software rarely offers a platform from where a user can be able to structure and initiate a promotion strategy that will ultimately increase traffic to the desired site. This tool is one of the few that can actually cover social bookmarking to ensure that social media sites are in line with the marketing strategy that has been chosen. With the digital world in play, social media serves as a major platform for capitalizing ecommerce on and it is this concept that is maximized upon with social bookmarking. Senuke x has the capability to spin and submit content effectively and to the desired sites without fail. This increases the capacity of backlinks which in turn improves the traffic to a site mapping out the SEO strategy. When a user integrates the tool as an internet marketing platform, it increases site visibility by offering sites the chance to have backlinks that will increase the ratings on search engines. This increases the conspicuous nature of a site while also building traffic. When a user leaves all the submission to the tool and to the sites that the tool decides, the eventual result may be linkage to sites that are of low quality which will mean that the traffic to be generated will not be effective thereby leading to search engines viewing the same as spam and hence ignoring their presence.